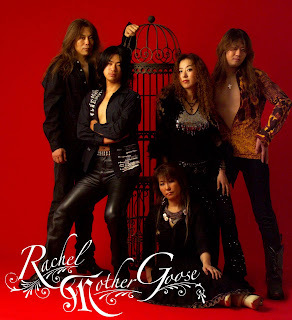 Japan has been always a fascinating musical destination for me and recently I had the opportunity to communicate with Mikka, singer of one of my favorite Japanese bands, Rachel Mother Goose. RMG, the brainchild of guitarist Hideshi Ueki, is ready to release a brand new album this winter and I asked Mikka to give us more info concerning the band. Feel free to support the always amazing Rachel Mother Goose!!!! When you first joined Rachel Mother Goose? Have you sung in any other bands before? Mikka: As I remember, it was in the early months of 2003. Till then I joined a few original bands mainly in Nagoya, but they never had a sound like RMG. You have a great reputation as a band in Japan and you also release new stuff often? Do you enjoy most working in the studio or playing live? 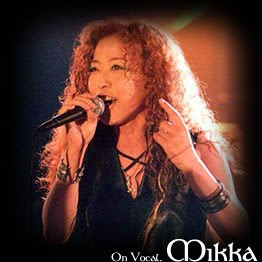 Mikka: I'd love to release a new album as soon as possible. I enjoy working in the studio, since I have unbounded images when we're making the new stuffs. But I love playing live more, because it's very happy when we feel at one with the audience. Are you satisfied from the sales of your records? Mikka: No, I'm not. I hope much more people listen to our music. Tell me about your guitarist, Hideshi Ueki. He is a guitar tutor in Osaka, if I remember well. Is he the leader of the band and how well do you cooperate with him? Mikka: No, he's not a guitar tutor in Osaka. I always discuss the melody, the lyrics and the setting of the song with him. He writes music but I always give him my ideas or new attempts. Mikka: I remember the show in Korea clearly. We appreciate the warm and exciting response. We'd love to release our album in many other countries, and of course we'd love to go on a tour. But I have to be able to sing in English better first. You also sing in another band named Rahu (ラーフ). Could you describe me the style of this band? M ikka: I started RAHU almost the same time as RMG. If I place RMG to HR/HM, I must say RAHU has the wide-ranging music style, singing in Japanese. Basically it's HR but sometimes pops, sometimes Celtic, sometimes funk.... and often people say it's progressive. RAHU could have horn sections or even dancers in the show! Such a free style music is RAHU's attractiveness. You released two songs in the last couple of years, "Fiercest Warrior" and "Out From Under", but both of them were published in demo formats. When do you plan to release your new album? Mikka: We're just working for the new album. I'm not sure if we'll have those two songs in it yet, but I think we will. We'd love to release it by this winter.